For many people, Christmas Day marked the start of the holidays. But I’m thankful to have been part of a faithful music team that sacrificed some family and present-opening time to serve our church family here at HBC. Since Christmas fell on a Saturday this year, it meant that we ran two consective-day services, and kept the same music team for both days. Interestingly, we ended up having an overflowing auditorium on Christmas Day, followed by a congregation half the size the very next day! No doubt most people had already departed for their well-deserved holiday. Here’s a recap of the service and the songs we chose this past weekend (You can find links to the set lists of this church and many other churches each week at theworshipcommunity.com). 1. Joy to the World – Isaac Watts, F.G. Handel. If it wasn’t so ingrained into the Christmas season, I’d love to use this one more often during the rest of the year. It’s a great way to start a service by inviting everyone to “Let earth receive her King; Let every heart prepare Him room, And Heaven and nature sing” – the arrival of God’s son. I liked what Craig said to precede this song – “we are the reason for the season” – for it is because of our sinful state that God came down as man to redeem and reconcile us back to Him. Reading: Luke 1:26-38. This passage describes the annunciation, as Mary is told by the angel Gabriel that she’ll be the mother of the Son of God. We were privileged to have a good friend David Chua sing the solo for this piece (you can watch it here). 3. Hark the Herald Angels – Charles Wesley, Felix Mendelssohn. A fitting song to follow the reading. 4. O Holy Night – Adolphe Adam, John Dwight. This is a favourite of many people at HBC, young and old. I enjoy singing this one, though my personal wish is that it the words would be clearer on how exactly “Chains shall He break for the slave is our brother; And in His name all oppression shall cease.” Maybe it has something to do with the fact that the English translation was penned by a Unitarian minister, John Dwight in 1855 – but I’m not too sure. In any case, before using it next time I’d like to explain exactly how oppression ceases in Christ’s name, and be clearer on the gospel of peace that the song refers to. Sermon: Peter shared a short message, taking a slightly different account of the story of God coming to earth as a man. In the first chapter of John’s gospel, there’s no sign of Joseph and Mary, no angels, no shepherd, no wise men…. 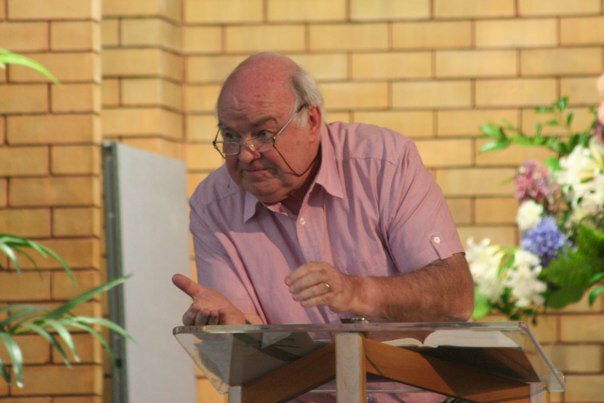 The Word Made Flesh – John 1:1-3,14 (Peter Somervell) from Howick Baptist Church on Vimeo. 5. How Deep the Father’s Love For Us – Stuart Townend. We closed with this song, which sums up the gospel really well and spells out the reason why he sent his only Son (to make a wretch His treasure). As I left church yesterday, one point Peter made during the message stayed in my mind for the rest of the day. He made the point that’s particularly relevant in this holiday season of shopping, celebrating, and partying – that everyone, Christian or not, has some sort of a Saviour. Yet for many this festive season, it’s not Jesus Christ – instead, it’s a whole range of functional saviours, to save us from our respective hells. – even your children, who you worship above all else, to save you from your childless hell. We’ll start our singing with a song that’s an invitation to continue our worship of our God, by asking Him to tune our wayward heart to sing of His grace. 1. Come Thou Fount – Robert Robinson. 2. See What a Morning – Keith Getty, Stuart Townend. 3. How Deep the Father’s Love For Us – Stuart Townend. 4. O Great God – Bob Kauflin. Sermon: Peter gave the church an end-of-year message, challenging us to be steadfast, watchful, and thankful in our prayer life. Persevering in Prayer – Col 4:2 (Peter Somervell) from Howick Baptist Church on Vimeo. 5. Let Your Kingdom Come – Bob Kauflin. It was a very busy weekend – in the morning prayer on Sunday morning, everyone looked shattered from a full-on Christmas Day with family and friends. But by God’s grace we made it through, and the gospel was proclaimed this weekend. So we happily cry out soli deo gloria – to God be the glory! This entry was posted in Service recaps, William, Worship leading and tagged Christmas, Howick Baptist Church, music, songs, worship songs on 27 December, 2010 by W C.